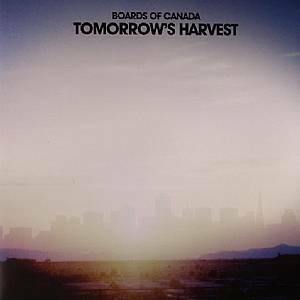 BOARDS OF CANADA Tomorrow s Harvest vinyl at Juno Records. 2. 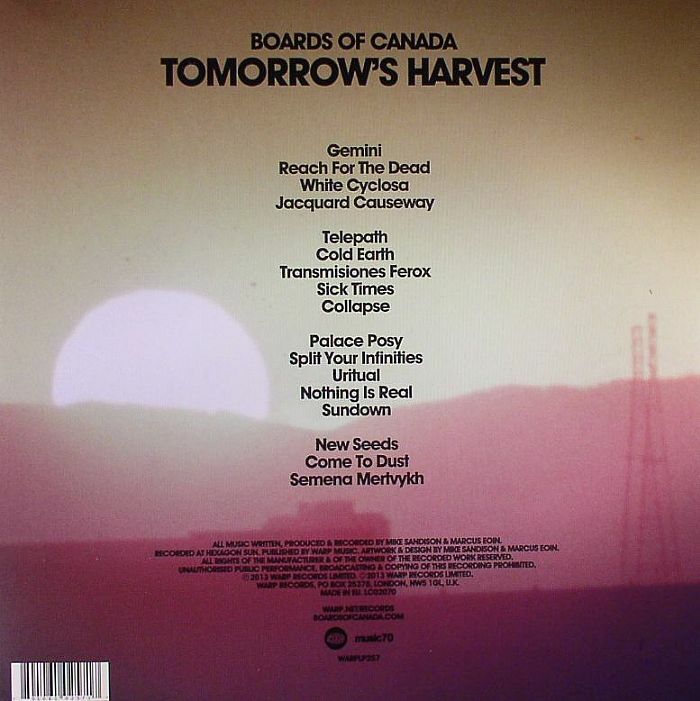 "Reach For The Dead"
Given that it's been eight years since the last Boards of Canada album, Tomorrow's Harvest should, by rights, push Daft Punk's Random Access Memories in the hype stakes. Certainly, it's a fine set. During their sabbatical, Marcus Eoin and Michael Sandison have lost none of their power to amaze and impress. Chords drone, samples hiss, synths shimmer and beats swing. There are intense ambient moments and intoxicating, post-IDM dreamscapes. It is in turns icy, warm, introspective and blindingly picturesque. 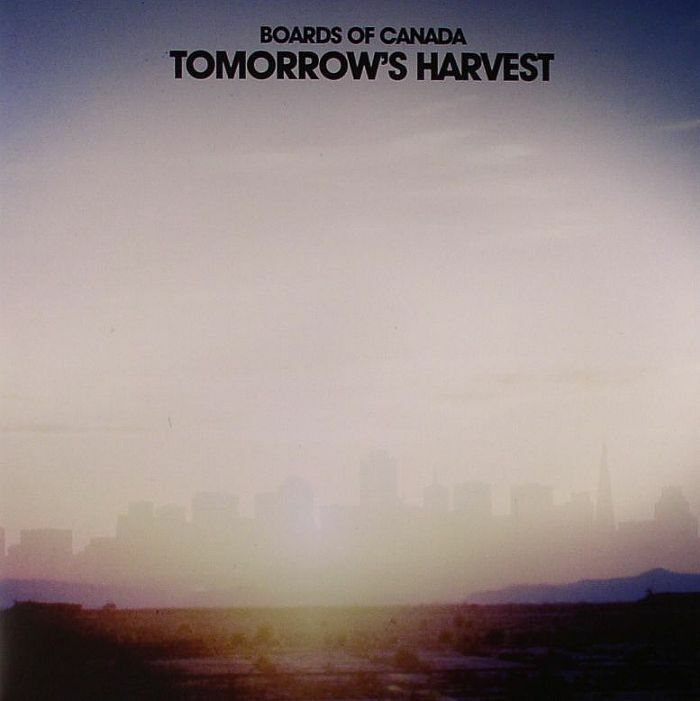 Throughout, Tomorrow's Harvest is impeccably atmospheric, conjuring images of windswept Scottish moors, becalmed Cornish bays and maudlin pagan ceremonies. As comeback records go, it's pretty darn good.